I seem to be in a bit of a floral mood at the moment. I must be getting geared up for spring! For this design I chose to pull out one of my all time favourite shades: Topshop's Parma Violet. I love the colour for all year and I love the pairing with the rose gold from Models Own. I used this combo once before for this design and am a little bit obsessed. This look was so easy to create. 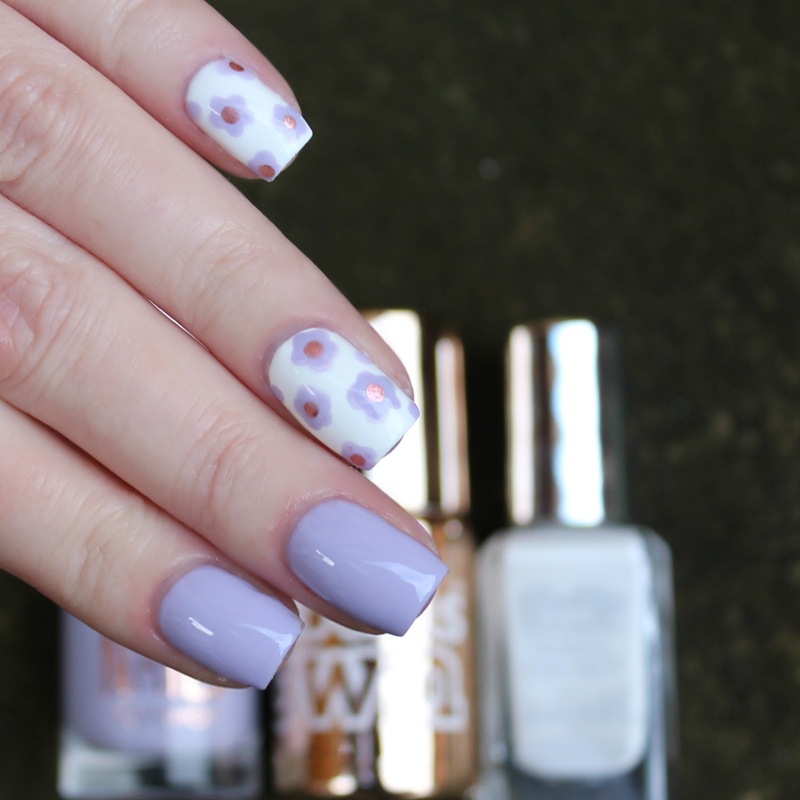 After painting the white base on my accent nails (I used Barry M's Coconut*) I used a dotting tool to create the flowers. I love the simple style. It's not a style that I usually try as I worry that it doesn't look fancy or stylised enough but it works well here I think. Do you have any hero shades or colour combos that you go to again and again?